There was a brilliant moment today when children in my class chose to pair up and share the enjoyment of reading with each other. This was totally unprompted by me as I was slow in discovering what they were doing. 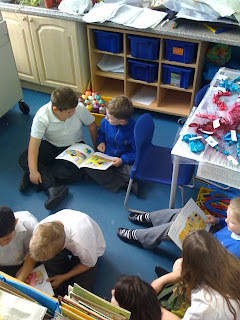 I took a sneaky picture of them working quietly, reading to each other and retelling the story.